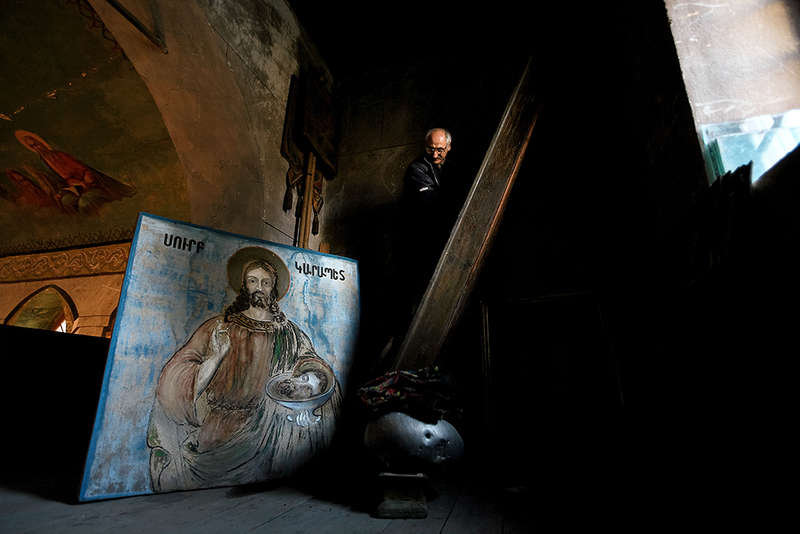 Andreea Tănase is an independent photo journalist from Romania with more than 10 years of experience. Over the course of her professional career she has addressed various topics and explored Romanian life and culture. Tănase has worked for top newspapers and collaborated with major magazines and photo agencies in the country and abroad. Born in 1976, Andreea Tănase holds a Communication and Public Relations degree from the Ecological University of Bucharest. She also graduated from the New York Institute of Photography, USA, has completed photo journalism courses organized by the Centre for Independent Journalism in Bucharest and completed a Master’s degree in Information Management in Combating Terrorism at the Mihai Viteazul Intelligence Academy in Bucharest. 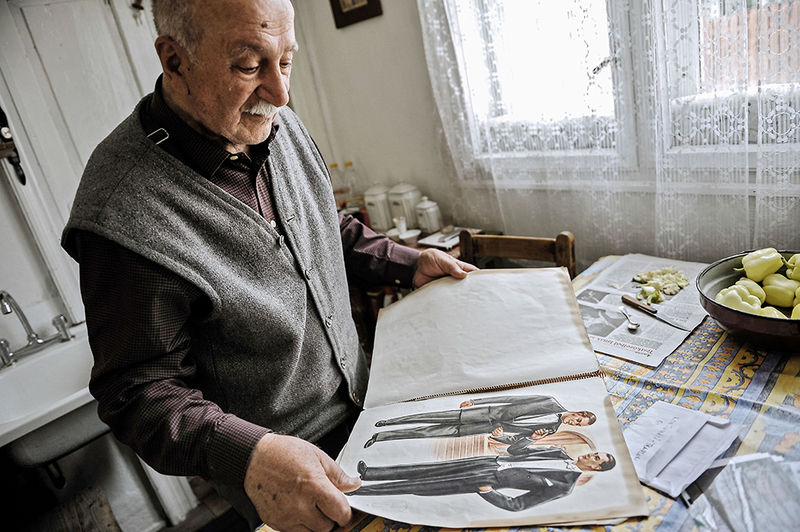 Her project Armenians in Romania: The Stories of the People Close to Us is a foray into the Armenian tradition, history, and personal stories of the members of the Diaspora. 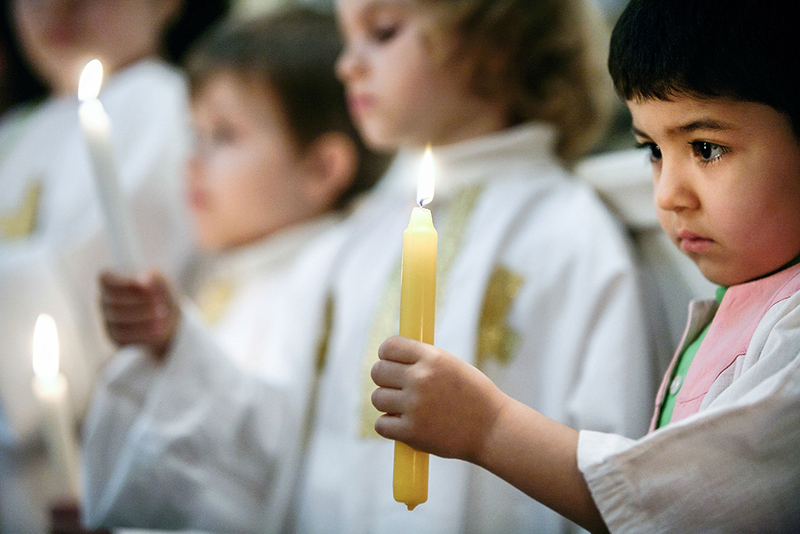 Today the Armenian community in Romania is estimated to have no more than 6 000 members. This project completes the Romanian cultural landscape by highlighting a small community that often stays invisible to the public. “I began documenting the Armenian community in Romania because I was impressed with the Armenian Genocide stories I had read about. I desired to talk to people of unspoken things and to tell the stories of the people next to us, the ones we look at and pass by every day. I also needed to know our past and history,” explains Andreea. To complete this photo project, Andreea Tănase traveled to 16 cities in Romania, the Republic of Moldova, Bulgaria and Armenia. The documentation phase took three years, from 2007 to 2010, during which she gathered the necessary material consisting of thousands of photos and dozens of hours of interviews. Here are the most compelling images. According to the tradition, the parish priest washes and anoints with holy oil the feet of 12 children, this gesture symbolizing the washing of the feet of the 12 apostles of Jesus Christ, in the evening of The Last Supper. 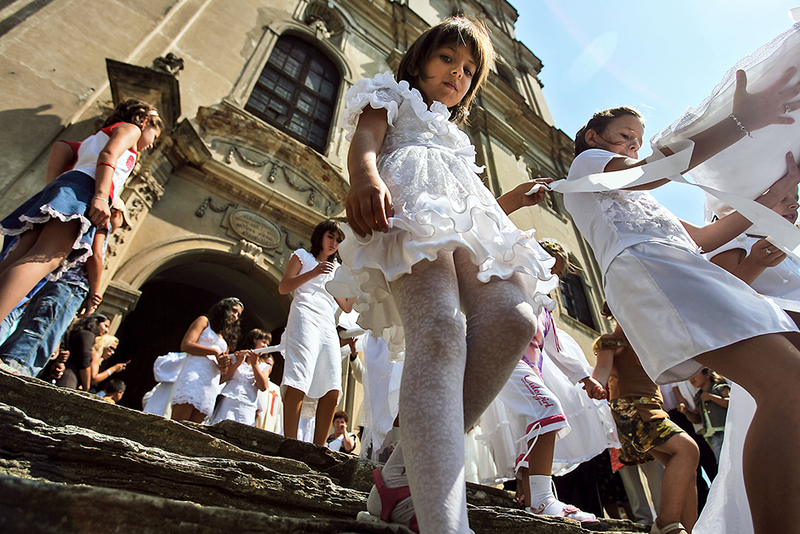 A group of children participates in the celebration of Saint Mary in front of St. Elisabeth Armenian-Catholic Cathedral in Dumbrăveni, Romania. 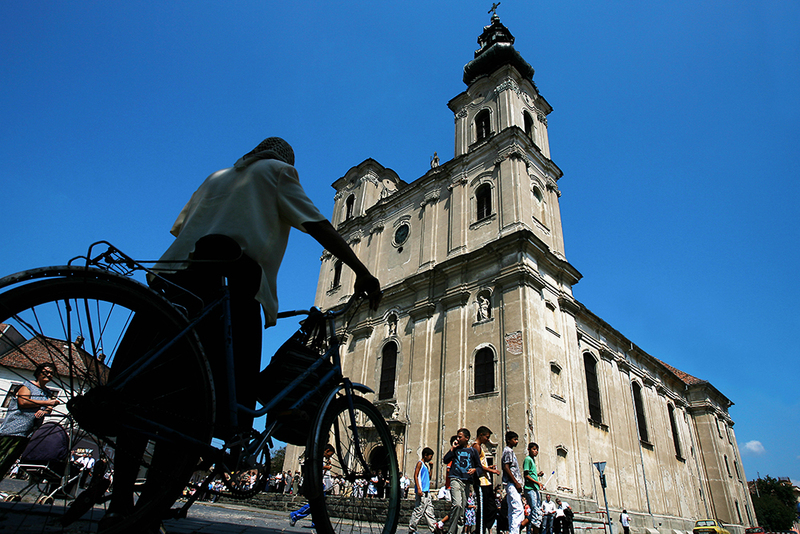 A passerby watches the religious procession held during the Celebration of Saint Mary in front of St. Elisabeth Armenian-Catholic Cathedral built in 1766-1791. 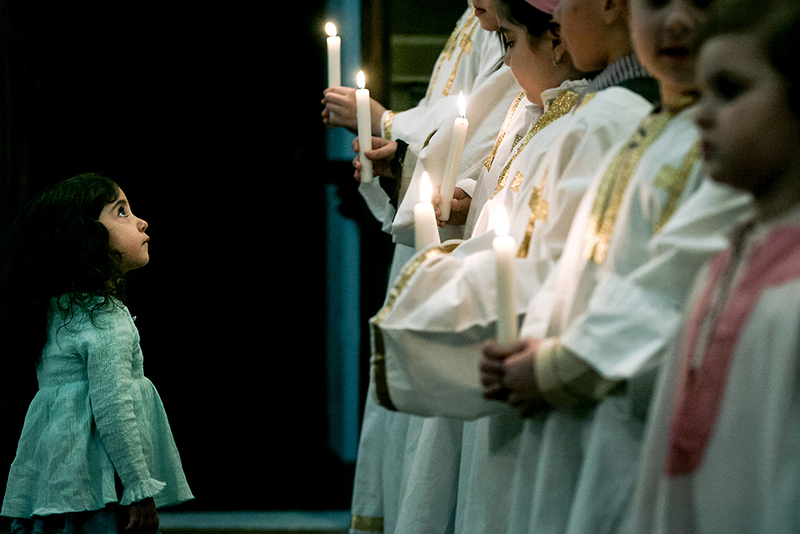 The religious ceremony “The washing of the feet” is held on Holy Thursday in the St. Archangels Michael and Gabriel Armenian Apostolic Cathedral (1911-1915) in Bucharest, Romania. 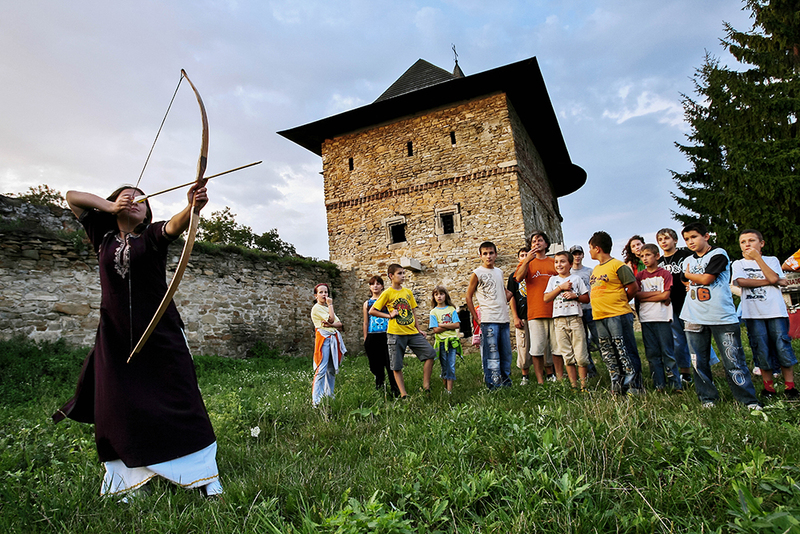 A group of students from the Order of Basarab - English Archery School are taking part in the event Medieval Art Evenings in the Throne Citadel of Moldova, organized at the Zamca Armenian Monastery (1606) in Suceava, Romania. 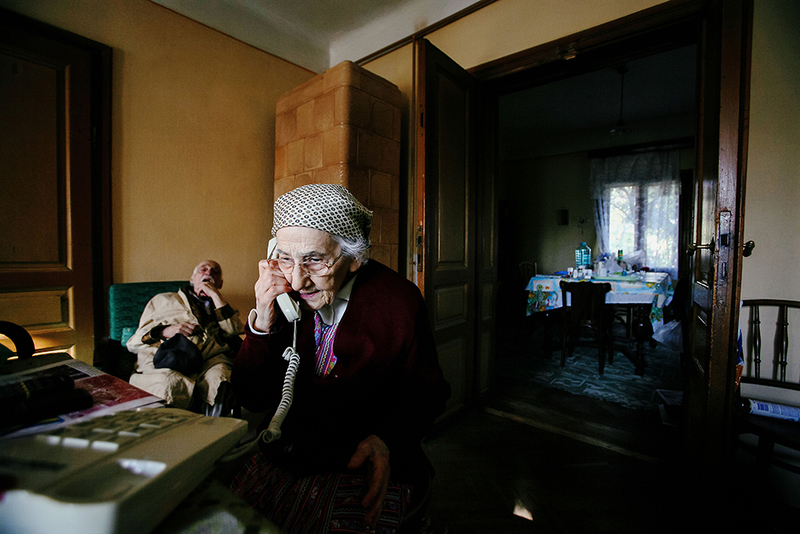 Armenians Eufrosina Aneta Costeschi (born in 1918) and her brother, Bogdan Costeschi (born in 1915), inside their home in Botoșani, Romania. Two Armenian churches still stand in Botoșani, one of them being the oldest Armenian religious building in Romania, constructed in 1350. Eduard Asadurian on the balcony of the Armenian Church of Saint Garabet (Saint John the Baptist) in Pitești, Romania. 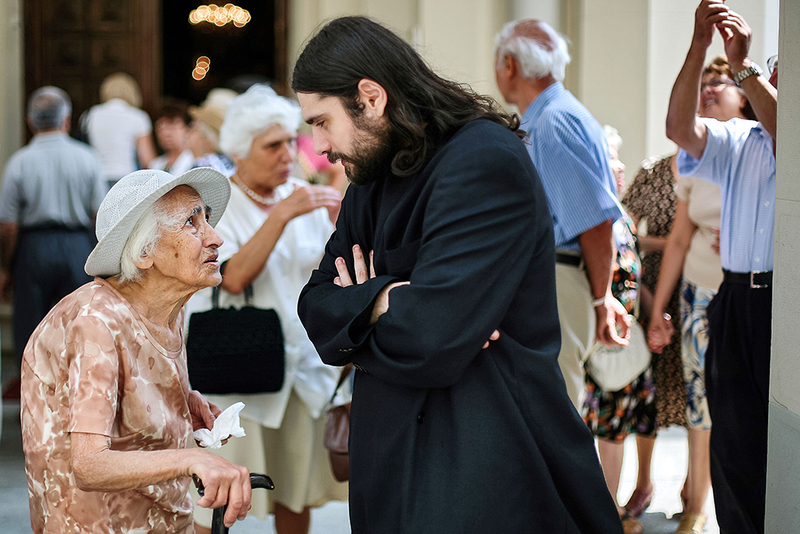 Zareh Arachelian talks to Sirpughi Horighian in front of the St. Archangels Michael and Gabriel Armenian Cathedral (1911-1915) in Bucharest, Romania, after the Sunday religious service. 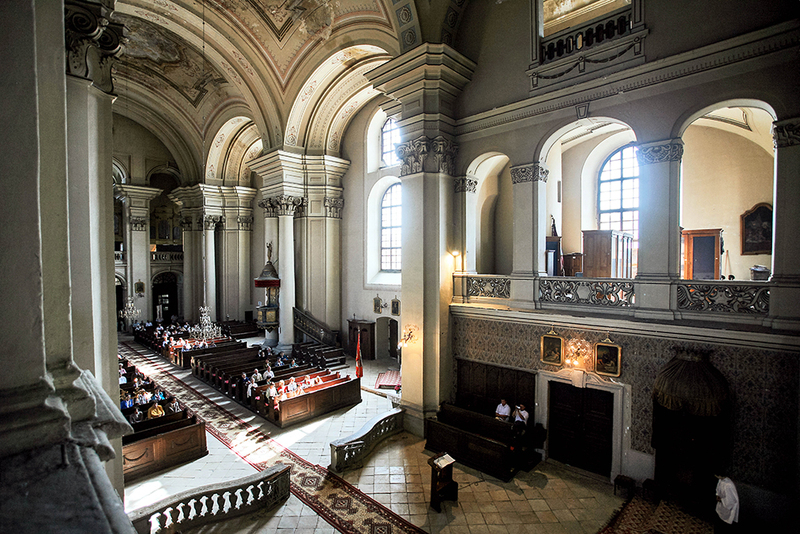 The interior of the Armenian Catholic Cathedral of the Holy Trinity (1748-1789), in Gherla, Romania. The city of Gherla was built entirely by the 3000 Armenian families that have moved there from Moldavia around 1700. Armine Holca takes part in the Western Armenian Language Course held at the Armenian School in Bucharest, Romania. 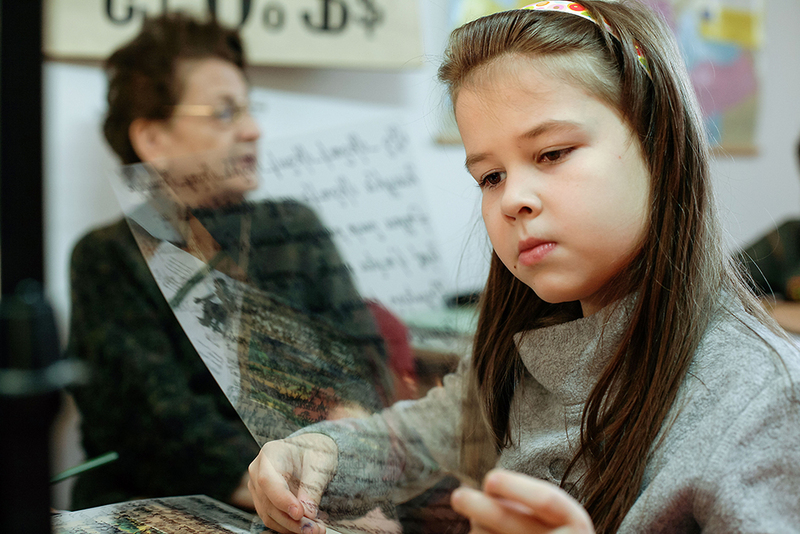 In 1989, Sunday Armenian language classes were reinstated due to the initiative of Ulnia Maganian-Blănaru and with the support of the Union of Armenians in Romania. The Misakian-Kesimian Armenian school offers two courses – one in Western Armenian language, taught by Narine Bogdan-Căuș, and another one in Eastern Armenian language, taught by Arshaluys Paronyan. Peter Baci, as Zakariaș is known to his neighbours, was born on June 10th 1918. He is the only Armenian from the old Transylvanian families who can speak the Armenian language. Ovsep Simigian was born in 1912 in the town of Rodosto (Tekirdagh) in the Ottoman Empire. 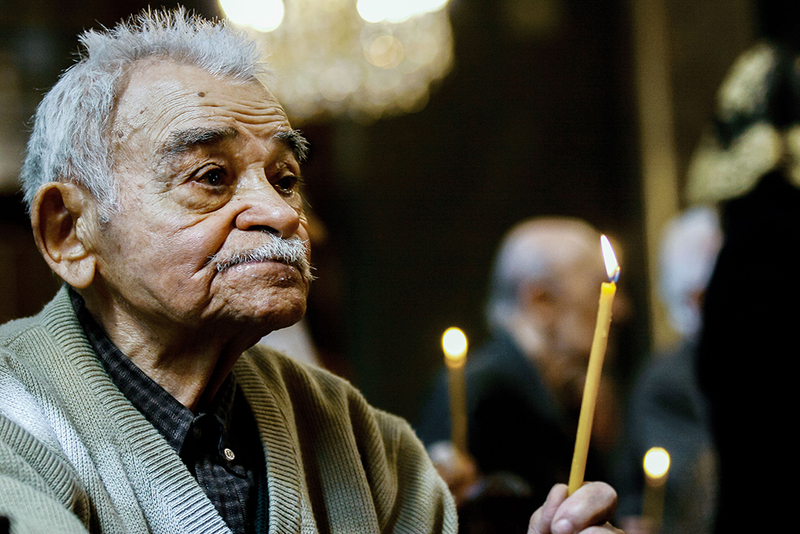 During the Genocide of 1915 he was deported to Deir ez-Zor and his family was killed. After the war, in 1919, he got to Istanbul and he was left in the care of a relative. In 1926 he moved to Romania and in 1934, he married Haiganush with whom he had two daughters. Ovsep Simigian, the last survivor of the Armenian Genocide who lived in Romania, died in February 2008. This photo was taken on April 25, 2007. Manuc Manukyan in his house in Yerevan, Armenia, on October 7, 2008. “This violin has brought me here,” says Manuc Manukyan. 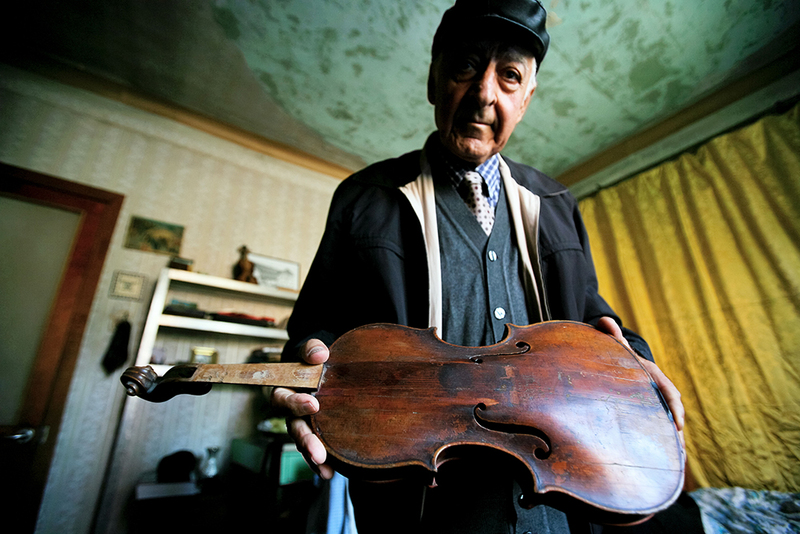 He moved to Armenia thinking he would be able to find work as violin restorer there. However, he did not restore any violins since his departure from Romania after the Second World War. 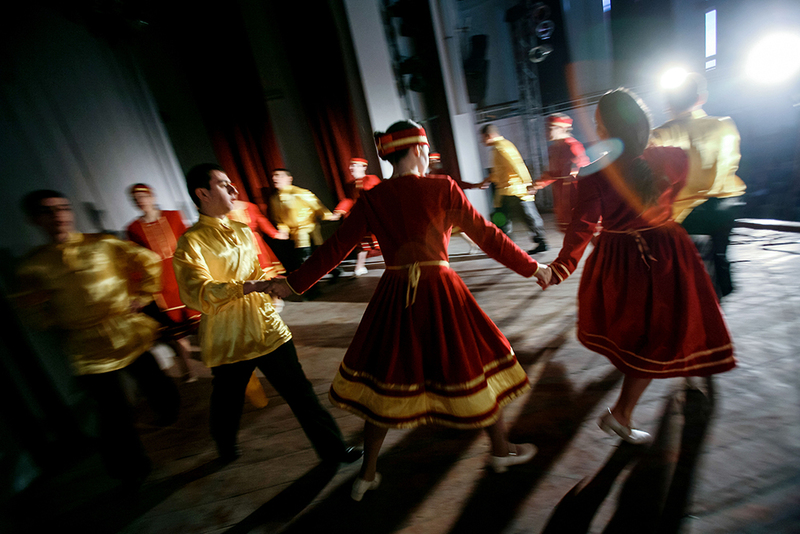 Traditional Armenian dance troupe Vartavar performs in celebration of Mother Language Day, on February 22, 2008, in Bucharest, Romania. 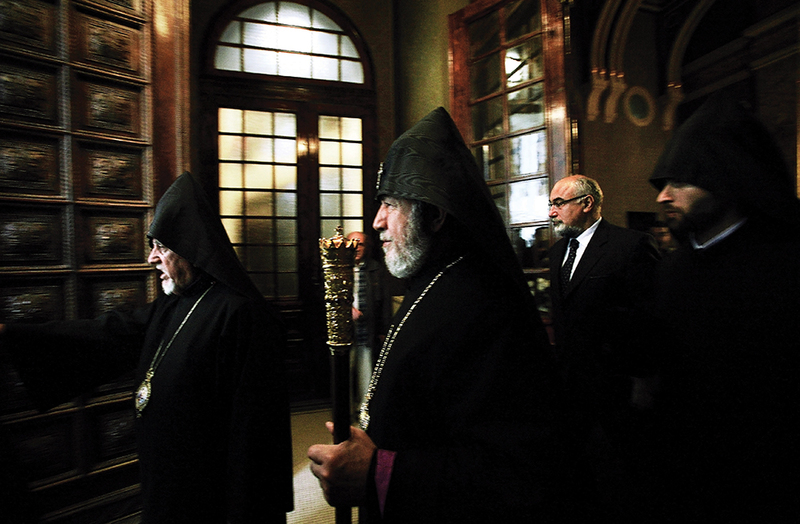 His Holiness Karekin II, Supreme Patriarch and Catholicos of All Armenians visits the St. Archangels Michael and Gabriel Armenian Cathedral (1911-1915) in Bucharest, Romania, accompanied by Varujan Vosganian, the president of the Armenian Union of Romania, the Archbishop Dirayr Mardichian and bishop Hovnan Hakobyan, October 25, 2008. “During my journey through Romania I met descendants of the old Armenian families who came to our country with the first waves of immigration. Forced by the communist regime to hide their identity, they no longer know their language or traditions but are now eager to rediscover their roots. I met Armenians who have struggled to preserve their identity by reading and writing daily in the Armenian language, so they won’t forget it. I met Armenians who had left Romania at a certain time of their lives and who return every year to reunite with the community and to take part in the main celebrations. I met Armenians who have recently moved to Romania, are happy to live here and have expressed gratitude for the Romanian hospitality. 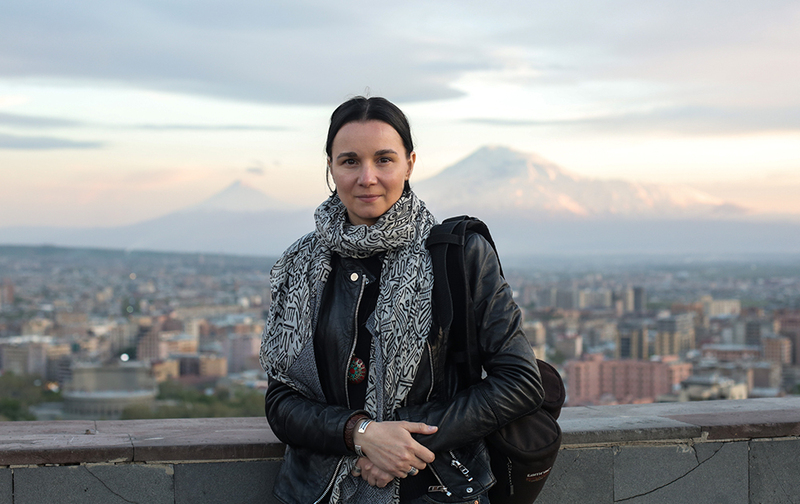 I met Armenians who dream of Romania and Romanians who dream of Armenia,” says Andreea. All images courtesy of Andreea Tănase.